In rural areas far from the forces of urban job creation, families often turn to poaching wildlife in order to feed themselves. In addition, at the current price of ivory, there is a near unlimited supply of young Somalis willing to come to Kenya to risk their own lives and to take the lives of others to make a fast buck. Wildlife Works rangers work side by side with Kenya Wildlife Service (KWS) rangers who are armed, trained in combat, and who are permanently stationed on the Rukinga Wildlife Sanctuary to find and apprehend poachers. Wildlife also needs habitat – a place to live. Wildlife Works is the world’s leading REDD+ (Reducing Emissions from Deforestation and Degradation) project development and management company with an effective approach to applying innovative market based solutions to the conservation of biodiversity. REDD+ was originated by the United Nations (UN) to help stop the destruction of the world’s forests. Job creation is the essence of the Wildlife Works REDD+ conservation strategy. Jobs include conservation rangers, factory workers, horticulturalists, machinists, seamstresses, foresters, carpenters, construction workers, drivers, mechanics and administrative personnel. 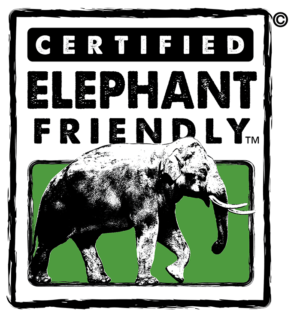 Wildlife Works also finances the development of small businesses such as an eco-clothing factory, and sustainable charcoal production and distribution. Wildlife Works’ ground-breaking REDD+ initiative protects over 500,000 acres of highly threatened Kenyan forest, securing the entire wildlife migration corridor between Tsavo East and Tsavo West National Parks, and brings benefitto more than 100,000 people in surrounding communities. The Kasigau Corridor REDD+ project was awarded the additional distinction of Gold level status by the Climate, Community and Biodiversity Alliance (CCBA) for exceptional biodiversity and climate benefits. The project area is home to a fantastic diversity of over 50 species of large mammals, more than 20 species of bats and over 300 species of birds. Important populations of IUCN Red List species includeGrevy’s Zebra, Cheetahs, Lions, African Wild Dog,and over 2000 African elephants. At Wildlife Works, the mission is clear: Provide people in wildlife-rich areas with sustainable economic alternatives to poaching and deforestation. When you buy a Wildlife Works product, you become an agent for conservation, and are wearing the brand that says you won’t sit quietly while the last wild things in the last wild places disappear forever. 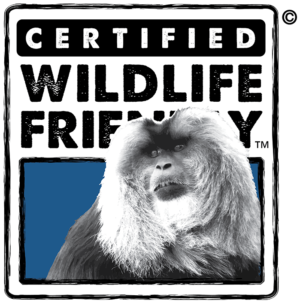 Shop Wildlife Works products here. No hunting is legal in Kenya. However, poaching, including hunting for bushmeat—the only meat some families can access—kills tens of thousands of animals each year. Illegal snaring is indiscriminate, killing hippo, elephant, lion, leopard, giraffe, antelope, wildebeest, zebra and baboon, in addition to the cheetah. While the primary income of the Masai is from tourists who come to view wildlife, predation on Masai livestock by leopard and lion sometimes also leads to retaliatory killing by herdsmen. The Anne K. Taylor Fund works with the authorities in the Masai Mara National Reserve to help control bushmeat poaching and conducts community education programs on the importance of saving wildlife. Participants in the Fund’s micro-finance project enterprises play an active role in educating peers and discouraging poaching in their communities. A group of Masaiwomengathered through the micro-finance project bead beautiful and sophisticated Certified Wildlife Friendly™ bracelets and other beaded products, with 100% of profits returned to jewelry-makers. 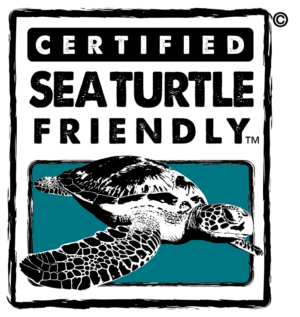 To inquire about purchasing Certified Wildlife Friendly™ beaded products please contact: info@aktaylor.com or 406 294 9430. 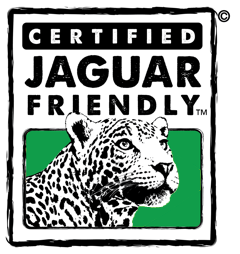 To inquire about purchasing Certified Wildlife Friendlyâ„¢ beaded products please contact: info@aktaylor.com or 406 294 9430. 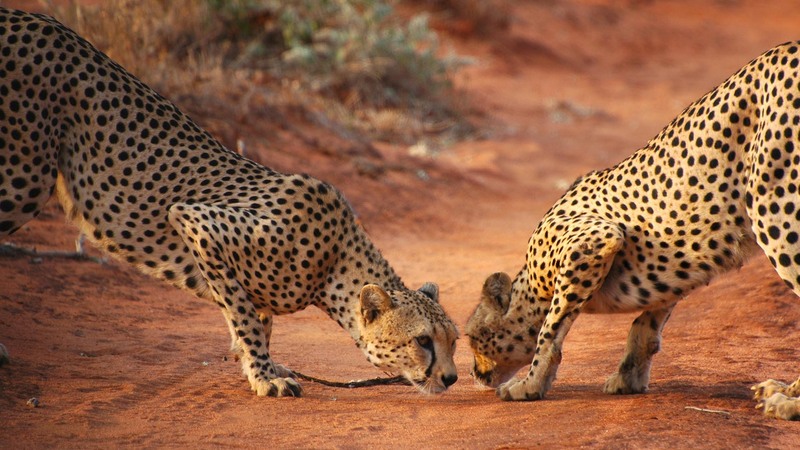 The vast majority of wild cheetahs are outside protected areas and spend time on private lands. Saving this magnificent animal from extinction requires attentionto the welfare of both cheetah and human populations over large landscapes. The Cheetah Conservation Fund(CCF) works with farmers and other rural residentsto developconservation enterprisesthat help to save the cheetah in the wild. 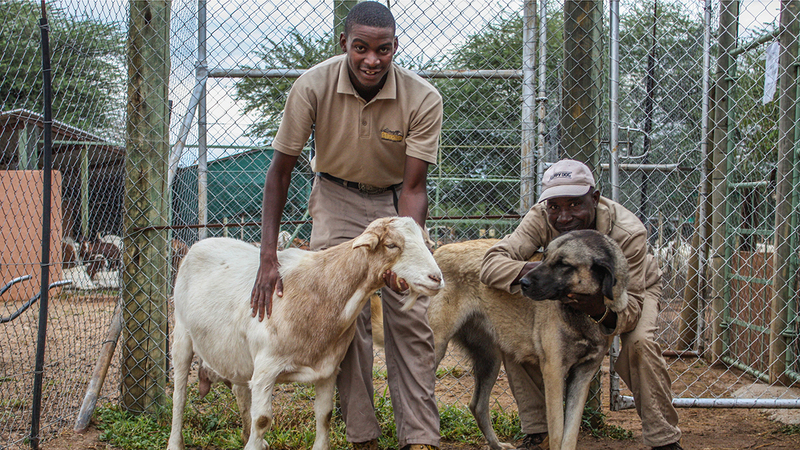 Integrating understanding of applied biology and management with public outreach has helped this global leader to engage a wide variety of Namibian citizens in cheetah conservation. Dancing Goat Creamery is a model goat farm run that demonstrate non-lethal predator deterrent strategies to protect livestock. Through use of livestock guardian dogs, fencing and careful management, the Creamery shows local farmers they can apply similar practices to their livelihoods. Dancing Goat Creamery’s products use milk from Saanen and French Alpine dairy goats of notable stock. The Creamery offers feta in light salt brine, or as a small cheese wheel, andchevreas a log in vacuum packs or in bulk containers for larger quantities, as well as ice creams and fudge. 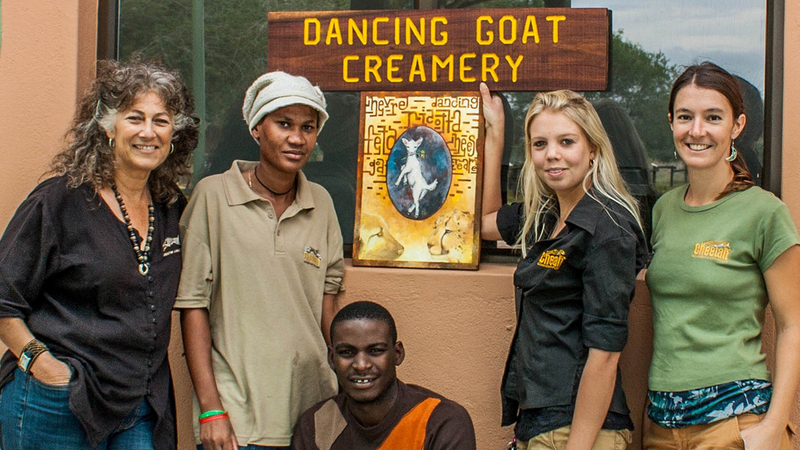 Dancing Goat Creamery cheeses, ice creams, and fudge are available for purchase every day at the Cheetah Conservation Fund’s Centre and Café near Otjiwarongo. Visitors can watch the cheesemaking process through large viewing windows. 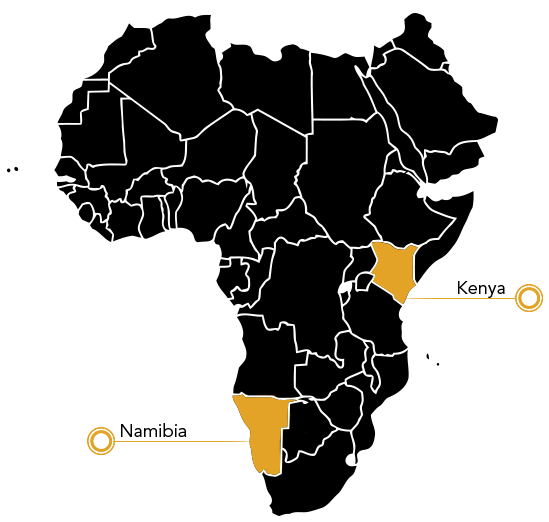 Creamery products are also available at Namibian businesses including MaeruaSuperspar, Fruit & Veg City, Geocarta Namibia, and Pure & Simple in Windhoek; Desert Hill in Swakopmund; Spar in Omaruru; and Theo’s Spar in Otjiwarongo. You can learn more about the Creamery from this video. 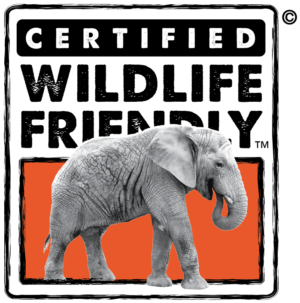 For more information or to place an order of Certified Wildlife FriendlyTM dairy products, contact Creamery Manager HanlieVisser, (067) 306225, tourism@ccfnamibia.org. 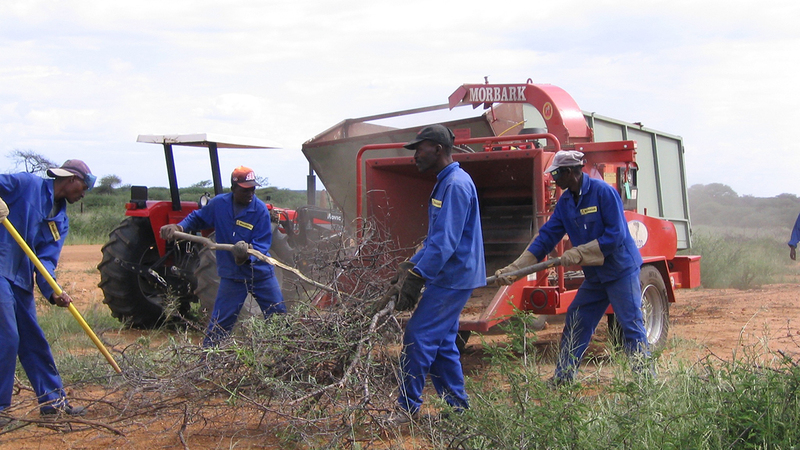 Bushblok is a low emission, high efficiency fuel log made from processed thornbush, a highly invasive species that has displaced grasses in overgrazed areas ofNamibia. Rangelands choked with thornbushreduce the available area for cheetahs, support fewer prey, and are also unusable as farmland. 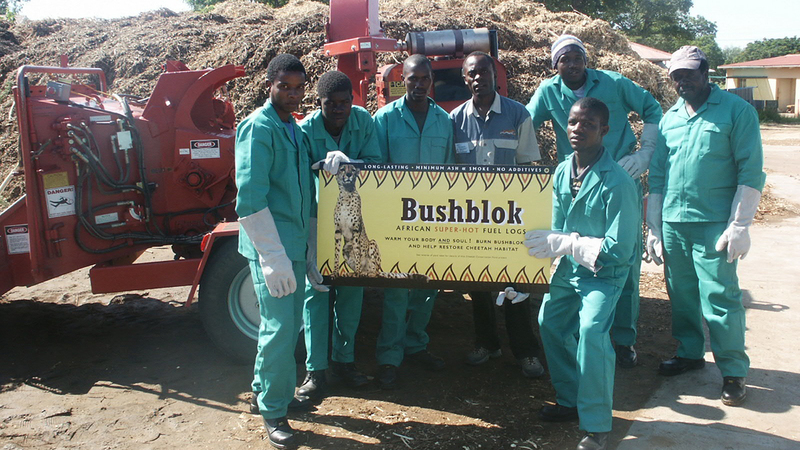 By turning thornbush into a useful product while improving habitat and providing rural jobs, Bushblock is an example of a triple-bottom line solution that satisfies a range of needs..
Bushblok is useful for cooking fires, braii (grilling), and home and industrial heat applications. Its caloric value approaches that of coal, and it isa smokeless fuel. 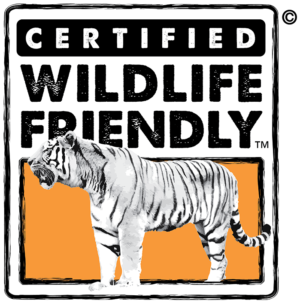 “Wildlife Friendly® is the global effort that I’ve been looking for in my research on non-lethal techniques for managing mammalian predators. It provides the ethical link between consumers and producers of agriculture that will prioritize coexistence and profit."